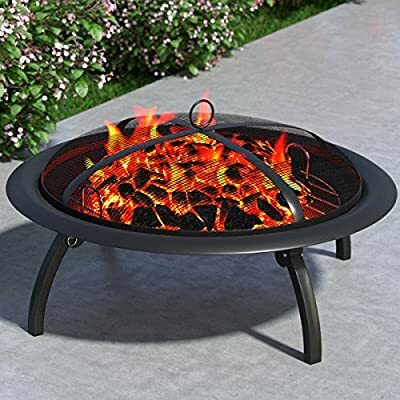 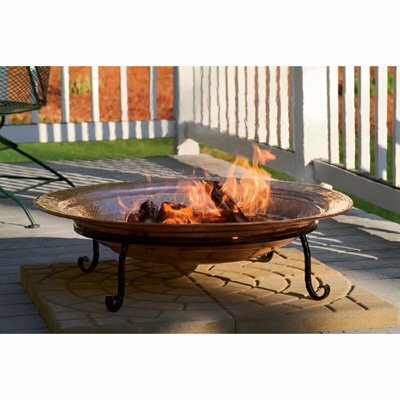 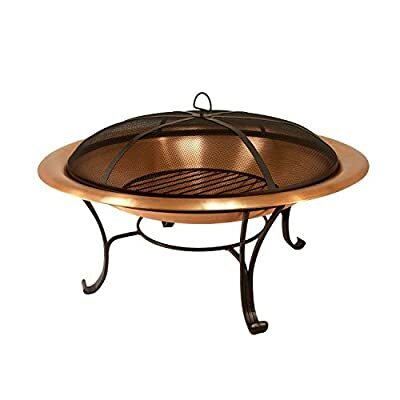 STYLISHNESS: Contemporary solid hammered copper fire pit with a 4 legged powder-coated constructed base made from wrought iron – beautiful addition to a backyard, beach, camper, vacation home or cabin. 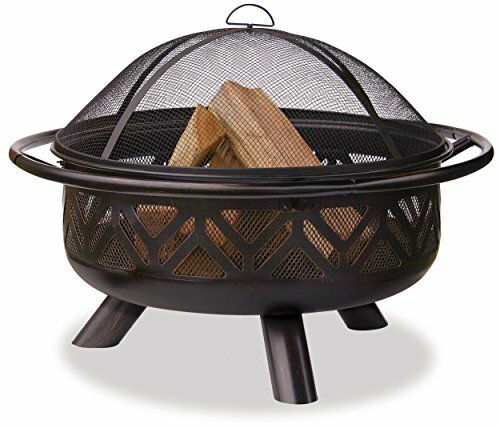 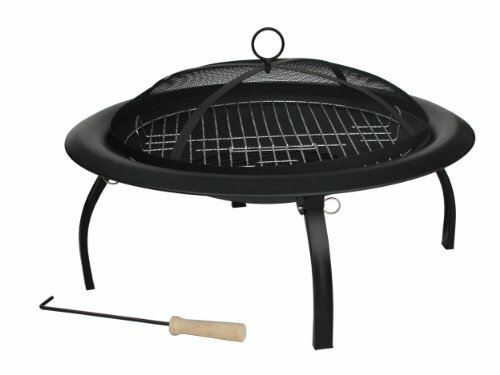 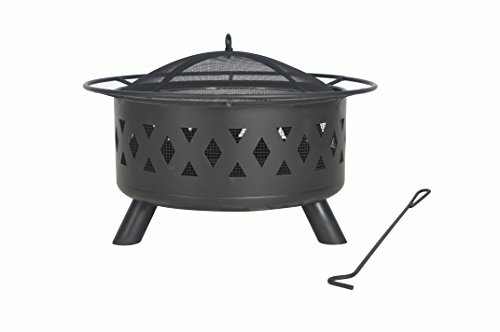 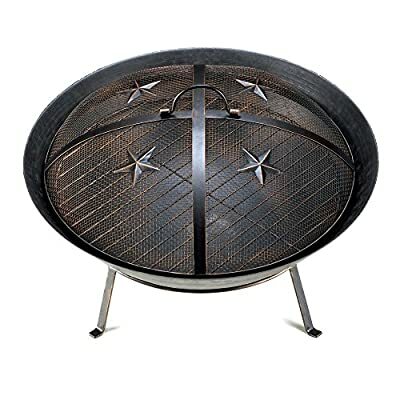 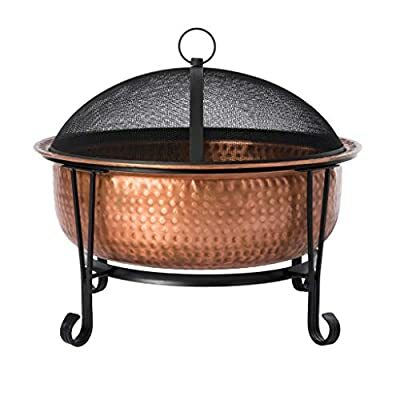 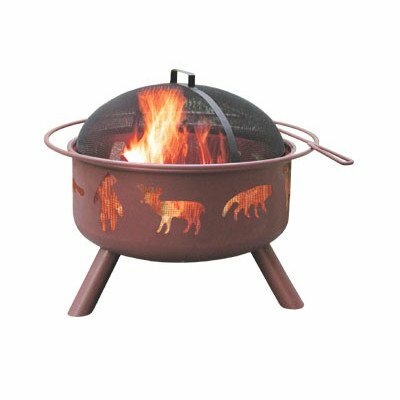 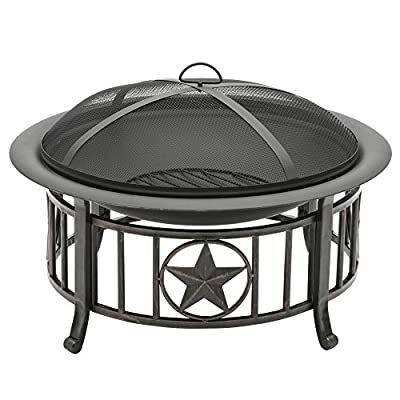 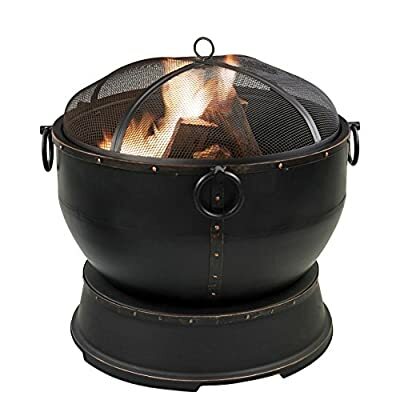 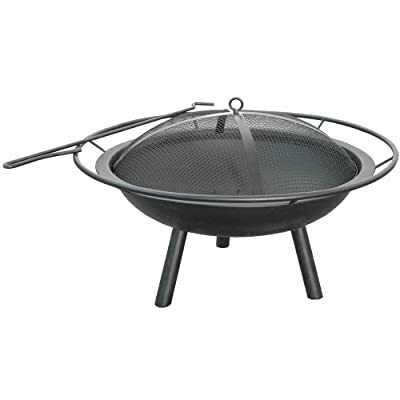 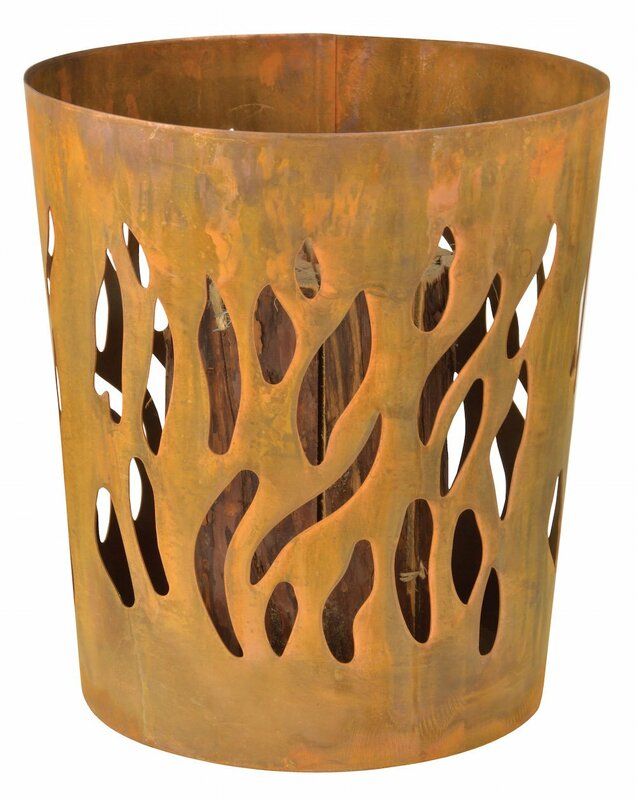 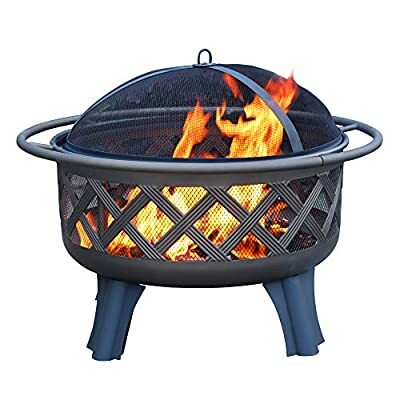 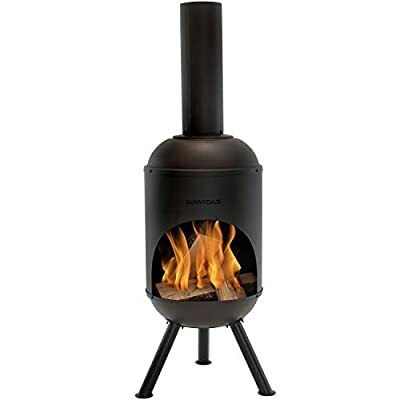 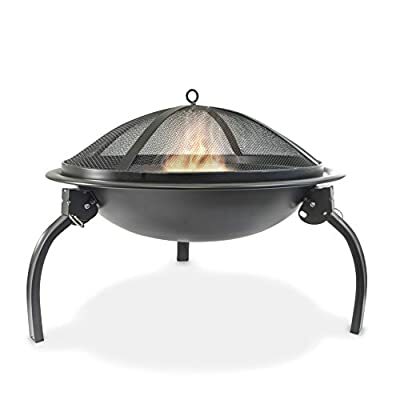 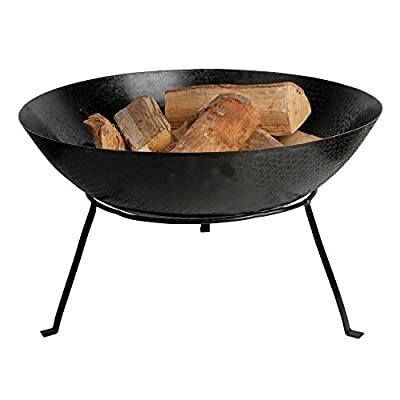 QUALITY FEATURES: Copper constructed to accommodate larger fires – 30″ diameter X 12″ high, weighs 20 lbs. 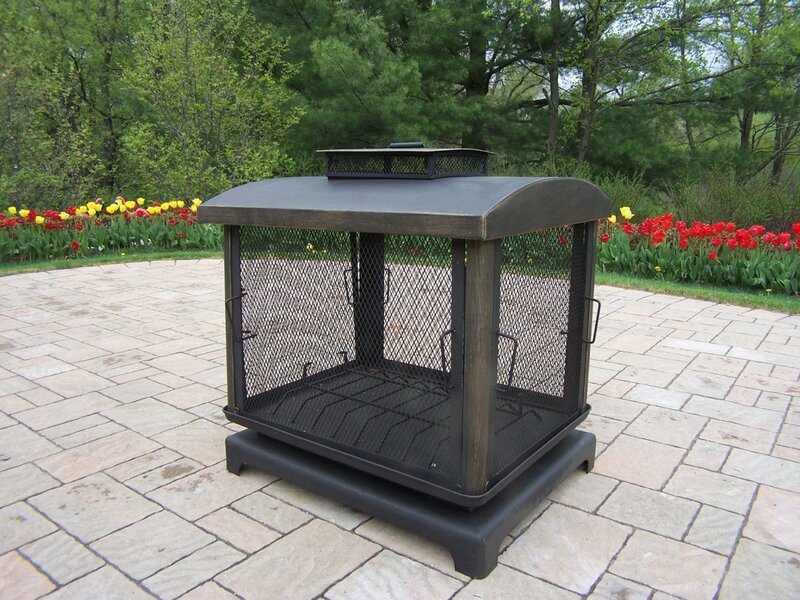 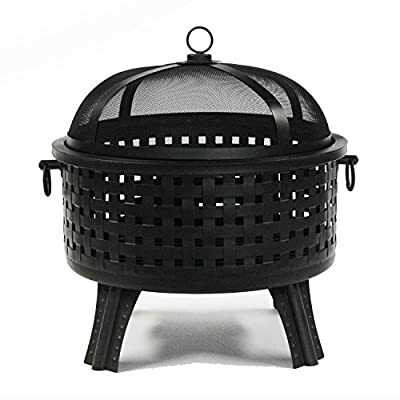 poker, log grate, metal weaved spark screen, and storage cover included. 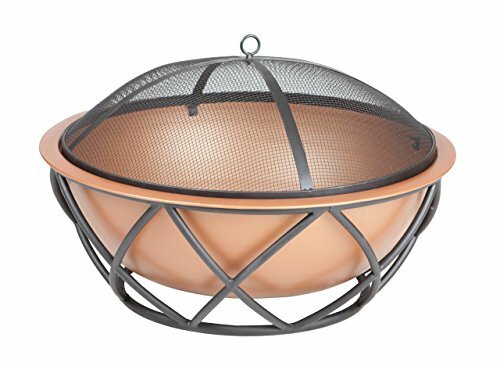 PRACTICAL DESIGN: As well as a fire pit it can also function as a decorative patio accent, beverage stand, or a unique indoor arrangement. 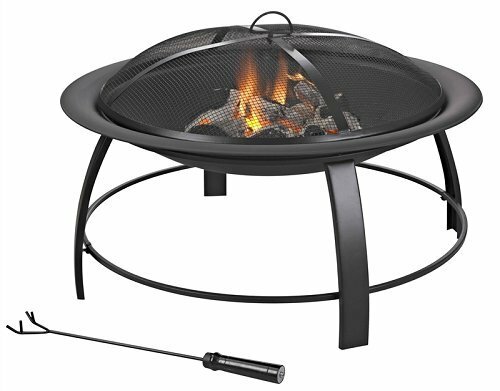 The fire pit easily assembles with basic tools. 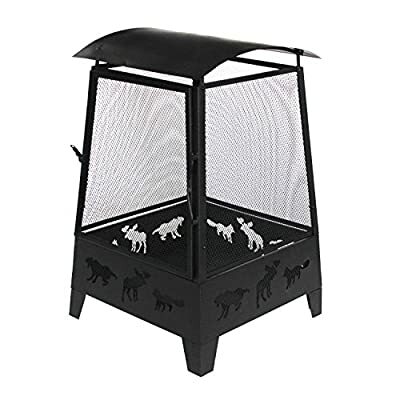 Simple stylish design, sturdy on flat surface and easy assembly. 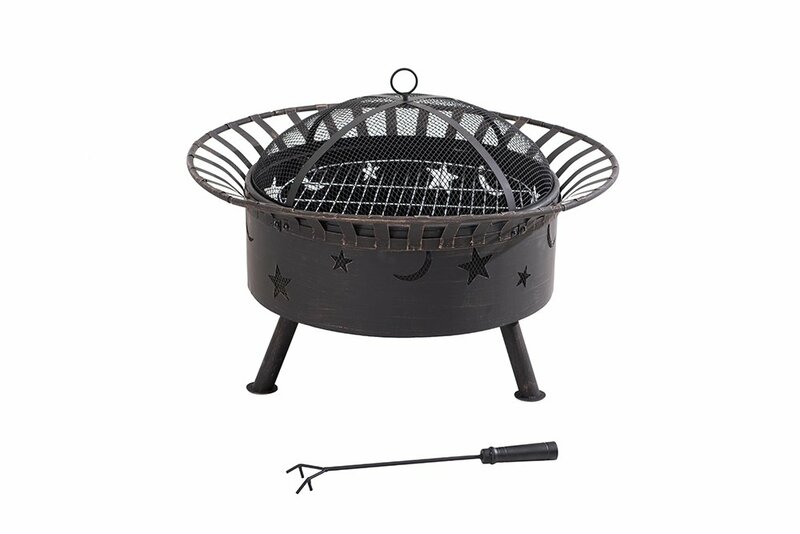 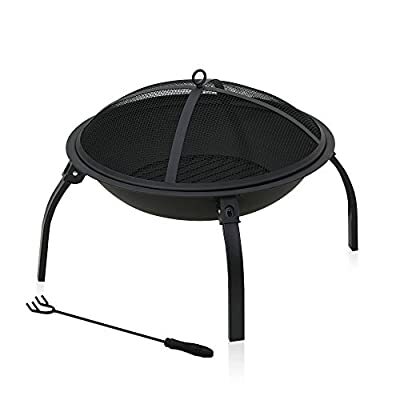 【★☆】EASY ASSEMBLY AND LEIGHT WEIGHT: ready the manual and check the parts list before you start the assembly, so simple to asembly by one 1 person if you are a DIY lover, after your assembly, take it to one suitable space in your backyard, then start your burning, enjoy it!